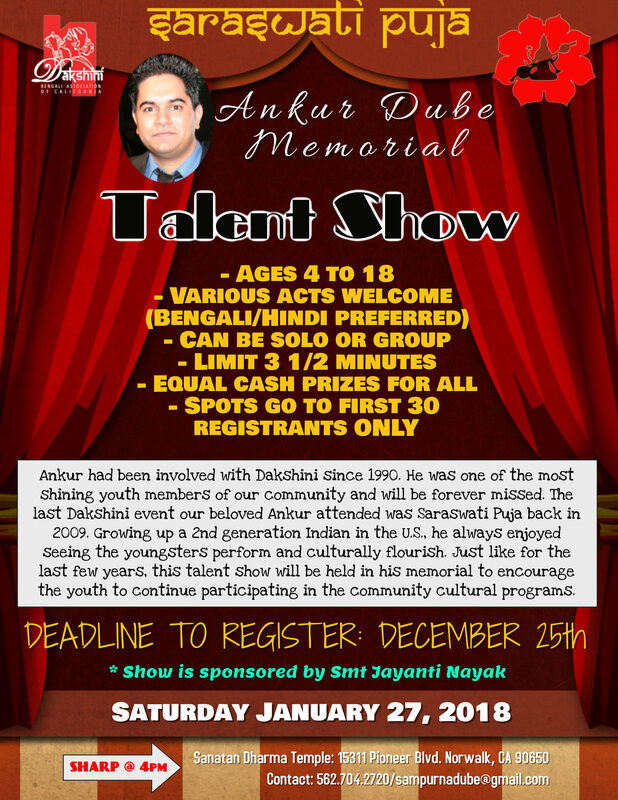 Below are the details for the upcoming Ankur Dube Memorial Talent Show at Saraswati Puja on Saturday January 27th, 2018 (venue: Sanatan Dharma Temple). Please note that the show can only accommodate 30 performances so the slots will go to the first 30 registrants. Register ASAP because once full capacity is reached, we will not be able to accept any more participants. Looking forward to another afternoon of talent and fun!